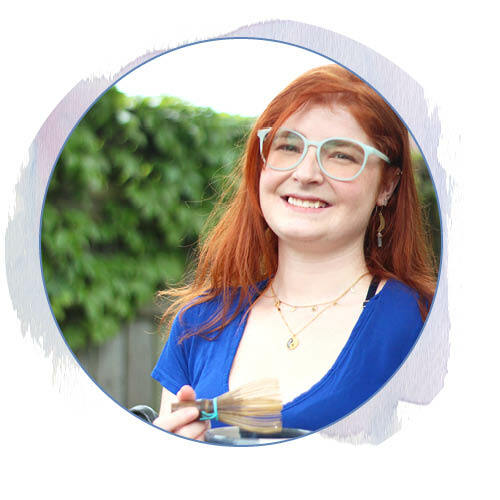 To start out my weekly tea reviews I picked out my favorite Darjeeling so far (sadly finished it too with this review…). 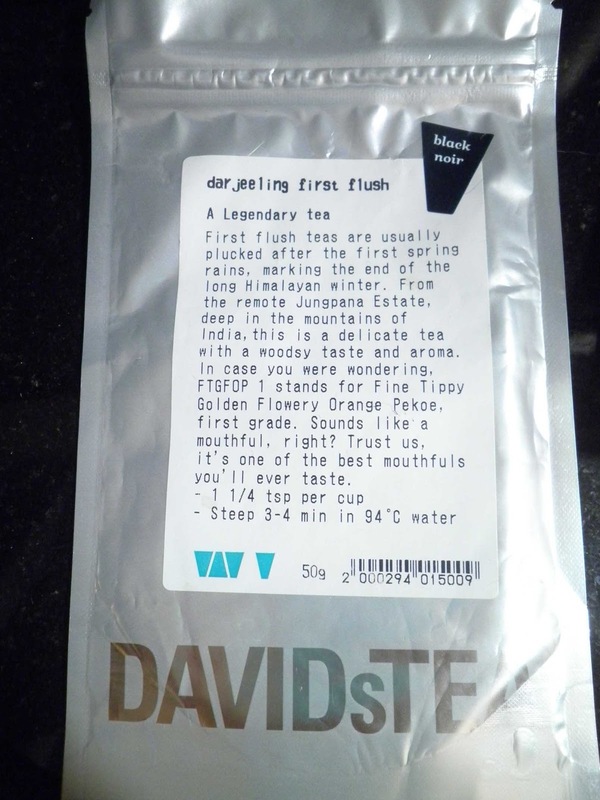 I originally bought this tea in an attempt to flesh out my taste for Darjeelings, instead it has kept me close to other light Darjeeling (such as Teaopia’s Ambootia Darjeeling). At a mere $15.00 for 50g it was well worth trying. Disappointingly it is “limited time only”, thus I am in a search for a new one to replace it or to try. First flush teas are usually plucked after the first spring rains, marking the end of the long Himalayan winter. From the remote Jungpana Estate, deep in the mountains of India, this is a delicate tea with a woodsy taste and aroma. In case you were wondering, FTGFOP 1 stands for Fine Tippy Golden Flowery Orange Pekoe, first grade. Sounds like a mouthful, right? Trust us, it’s one of the best mouthfuls you’ll ever taste. 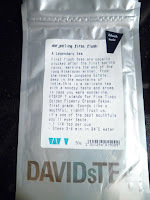 Like always Davids Tea creates a little story or juicy description for their teas. This one keeps to the origin of the tea and tries to promote the estate. For my review I conducted it at work so that I could ensure the quality of water and temperature, at a latter date I will have the means to check the temperature at home. 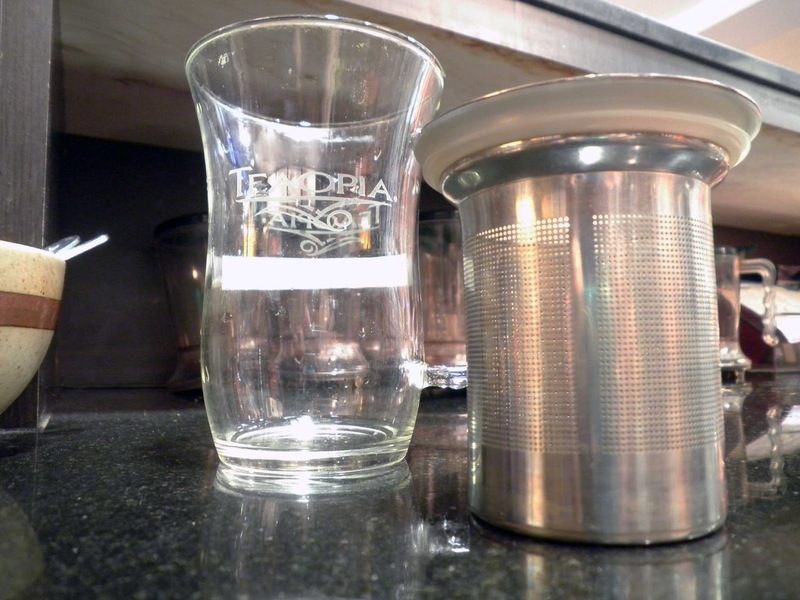 Below are my basic tools: a simple infuser and a glass mug. 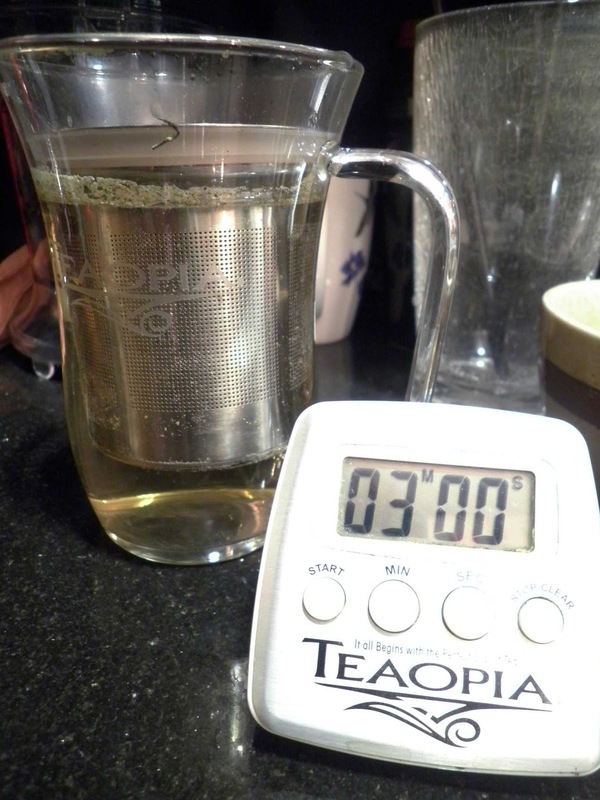 I used about two teaspoons to around 14oz of 100 Degree C water. The water at work is filtered four times in the back room and have not had any problems with other teas I have smuggled in. After steeping the leaves for three minutes I removed the filter. 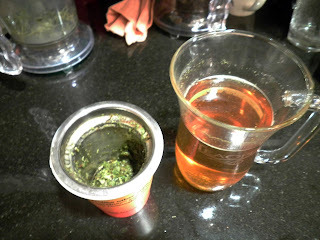 The leaves were quite green prior to steeping (forgot to take this image) and even more so after. The wet leaves smelled sweet, apple like, grassy and reminded me of fogy mist. The tea itself tasted smooth, mild, slightly sweet with a bit of honey and almost toasty. It reminded me a bit of Japanese green teas I have had in the past, or perhaps it was the lingering flavor in my cup from Genmaicha. I had cleaned out the cup thoroughly before hand . I am not entirely sure. I hope to get a bit more of the tea before their supply runs completely out, again though if anyone has some suggestions I am open to them. 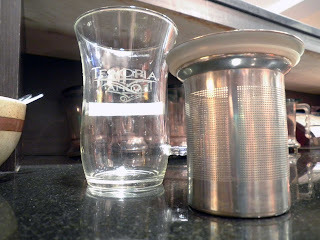 AFTER NOTES: As this is my first review (since Sumatra Highland) I hope to get better at describeing teas as well as prepare for taking the Tea Sommelier Exam (when I get there, wish me luck). 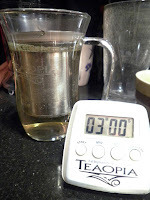 I hope to get better at takeing tea photos as well, I recall seeing a toutorial for this and will look it up for the next review. 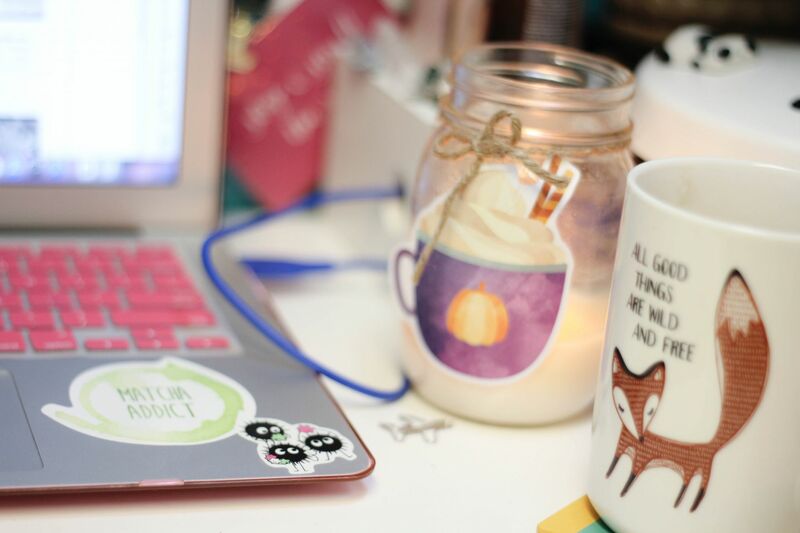 Till then look forward to your next cup of tea!